An enthusiastic Drupal developer of ten years, Jay spent six years as Mediacurrent’s Lead Architect before transitioning to his current role in 2015. As the Vice President of Technical Operations, Jay helps to foster best practices and shape processes for Mediacurrent's development team. 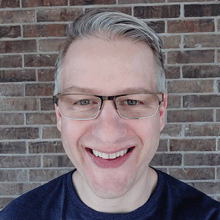 An active contributor to the Drupal community, Jay has developed dozens of custom modules, coded themes, and written install profiles for projects from Drupal 5 through Drupal 8. Prior to Mediacurrent, Jay worked as a PHP developer in Little Rock, AR. During that time, Jay worked on several large PHP builds including the Arkansas Drug & Alcohol Testing Database, the Arkansas State Police FBI Civil Harvesting Application and the Arkansas Governor Newsroom which won his agency an e-government award that year. During his 8 years at Mediacurrent, Jay has led teams on dozens of projects including more recently Turner.com, Jamaica Star, and University of Georgia. He maintains several key marketing automation modules (Pardot, Silverpop, Eloqua, Hubspot, and Automate) that have helped solidify Mediacurrent as a thought leader in the marketing automation space. Jay created and actively maintains one of the most popular distributions on Drupal, OpenChurch, which has over 100,000 downloads. A Drupal 8 version (relying almost entirely on core modules) was recently released. Outside of work Jay enjoys family time with his wife and two young children. He stays involved with his local Little Rock church and also volunteers time on occasion to help build faith-based charity and church websites.